Annie Mae's family is looking forward to beginning a new life—on their own land. When the Oklahoma Territory is opened in 1889, they and thousands of other settlers race across the border to claim some land of their own. But there is not enough for everyone, and Annie Mae is afraid of trouble ahead. Even if they find their beautiful land, will they be able to keep it? The author of several works of historical fiction, Nancy Antle has also written two children's books: Staying Cool, praised by Publishers Weekly as "a book that works well on many levels," and Sam's Wild West Show, an IRA-CBC Children's Choice. Nancy Antle lives in New Haven, Connecticut. 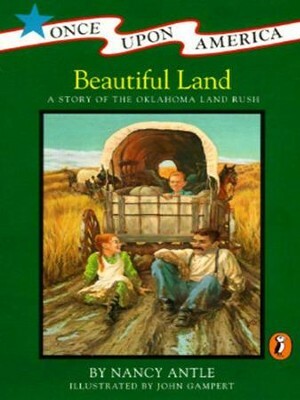 I'm the author/artist and I want to review Beautiful Land: A Story of the Oklahoma Land Rush - eBook.